Robin & Lucienne Day circa 1950's. Robin loved the outdoors. He was an intrepid mountaineer and skier, driving himself as hard in sport as he did in work. Robin Day climbed Mount Kenya at the age of 76. Robin Day argued that the defense of the environment was a designer’s prime responsibility. If you don’t want to spend too much money for your Suhagra, you should check our offer – Suhagra for only 0.91 USD! Sounds good, doesn’t it!? Lesson / Koan : Find not only what you love, but who you love. Only in the last few days have newspapers worldwide published the new of Robin Day’s death. Robin & Lucienne Day’s partnership was often, wrongly, compared to that of their contemporary American designers Charles and Ray Eames. Ray Eames’s professional work was merged with, and in some degree subsidiary to, her husband’s, whereas Lucienne’s career was always distinct. The furniture designer ROBIN DAY (1915 – 2010) and textile designer LUCIENNE (1917 – 2010) transformed British design after World War II by pioneering a new modern idiom. He experimented with new materials in inexpensive furniture for manufacturers like Hille and she revitalised textile design with vibrant patterns for Heals. 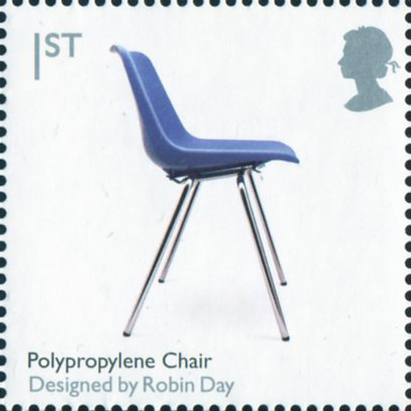 In 2009, the chair was featured on a first-class British stamp, one of eight examples of memorable British design to be so honored that year.